So I'm kinda ill and avoiding contact with friends. I haven't played games in a few days and I'm suffering from withdrawal so I go on BSW to play a game online. 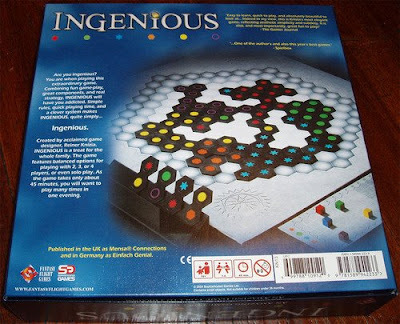 2-player Ingenious, it is! Moral of the story: Someone else needs to start reading the rules!